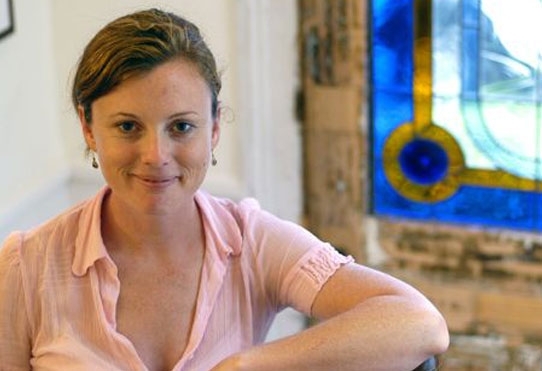 I’m a real estate agent because I love the interaction of people, neighborhoods and architecture, particularly in Charleston SC. A short skip over the Ashley River Bridge land you in Avondale. A beautiful and inviting postwar suburb features smaller homes with lovely yards and beautiful oak trees. The business district on Highway 17 South creates a lively heart beat for the area. In recent years a revitalization has attracted some of Charleston’s hippest shops and bistros, as well as beloved watering holes. Best thing about Avondale: restaurants, bars, and great shops. Worst thing about Avondale: the parking problems generated by the popularity of the bars, restaurants and great shops. Cross the Ashley River from Downtown Charleston and the first neighborhood you come to is Byrnes Down. One of the most desirable neighborhoods in West Ashley, Byrnes Down is popular for several reasons: first, location, so convenient to MUSC and downtown Charleston, Byrnes Down has been a favorite of the medical community for years. It is also ideal for walking to shops in the Avondale and South Windemere commercial areas. Byrnes Down is an excellent spot to find a 1940’s brick home with a nice yard, an oak tree and a 5 minute commute. Hop over to Avondale Wine and Cheese or Earth Fare, for some dinner, stop by the library for a book, pick up some antiques, all in an easy walk from the lovely homes in Byrnes Down. West Ashley neighborhood just south of the Avonale shopping district, Carolina Terrace is a lovely neighborhood with tree lined streets, and lots of medium sized starter homes on lots big enough for a nice garden and a swing set. This popular family neighborhood is located in an easy stroll to the fabulous shops and restaurants of Avondale. The neighborhood is also just across highway 17 from the new and improved St. Andrews shopping center with a fancy new Harris Teeter and Stienmart, West Marine, Pet Smart and a number of fast food options. Best of all, Carolina Terrace is another one of those incredibly close in neighborhoods, just a jump across the bridge from downtown Charleston. With that kind of proximity and the Charleston population and popularity increasing exponentially,it’s a safe bet investing here! Great neighborhood in West Ashley with equidistance between the Cosgrove Bridge to North Charleston and Downtown Charleston. Lenevar and other neighborhoods along the Charlestowne Rd are made up of mostly 50s 60s and 70s brick ranch homes on large lots with nice neighbors. The close proximity to Citadel Mall, and the shops at the intersection of Sam Rittenberg and Hwy 61 such as Barnes and Noble and Total Wine make this neighborhood ultra convenient. The popularity has increased recently as older residents pass down homes to young couples and families seeking the convenience of the location and the neigborhood feel. At the banks of the Ashley River, approaching the Cosgrove bridge, is the West Ashley Neighborhood of Parkshore. The well kept neighborhood is privately set among mature oaks with a one way in and out entrance. Nice 1960-90s era homes, most with second stories and large manicured yards give an upscale feel. The views of the Ashley add value along with the extremely convenient location. Anchored by the popular Earth Fare Grocery Store, the Windemere Shopping Center is the focal point of this really great neighborhood. 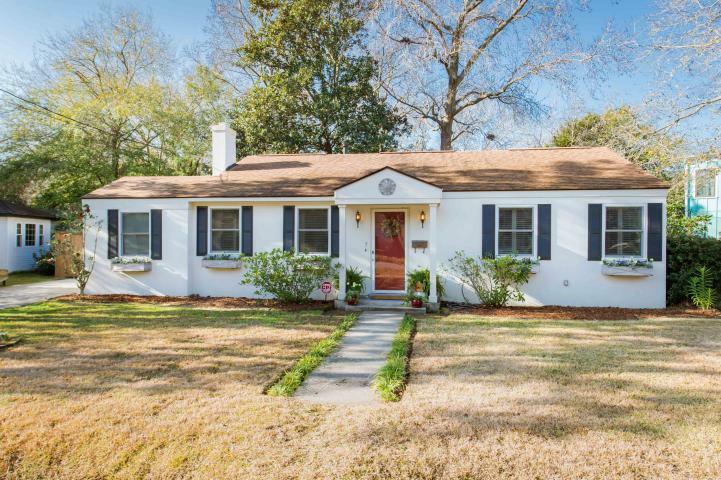 Just across the bridge from downtown Charleston, the many great businesses to walk to, the adorable School of Math and Sciences, and the wonderful mid century homes make this neighborhood a must see. It is perfectly located for easy in and out of downtown as well as a hop across the Wappoo Cut Bridge and down Folly Rd. to the beach. The neighborhood is also popular for parents of students attending Porter Gaud School. A great place to check out 50s architecture and of course some of the homes are marsh front and others have deep water views of the Wappoo Cut. Features sublime examples of stately greek revival masonry homes with walled lots, ornate wrought iron gates, and beautifully landscaped gardens. Convenient walk to the bars, restaurants and shopping of the historic market aka tourist central. Also close to the Gaillard Auditorium and the water front parks, shopping, movie theatre and museums of Charleston’s Aquarium Warf. Nationally-recognized as a model for historic preservation and rehabilitation in the 1960’s, Ansonborough today is like a time warp transporting it’s inhabitants and visitors to a bygone era. These two boroughs, which formed in the years following the Civil War, feature some of Charleston’s elaborate victorian architecture. The neighborhood was populated in the late 1800’s by the cities merchants and still maintains a delicate blend of commercial and residential properties. This true “live work” neighborhood is home to some of the town’s best small businesses. James Beard award winning chefs and well known artisans populate street level commercial space, some even living in the residence above. Professors and students from College of Charleston and the Medical University call the two boroughs home. The nightlife of upper King attracts young professionals and the infill developments of Midtown and Morris Square with their sleek modern architecture is a welcome alternative to vintage historic buildings. To browse the local businesses further online check out www.gocebo.com. Along the banks of the Cooper River lies Charleston’s downtown East Side Neighborhood. Despite the recent Post & Courier article which referred to the “gritty streets of Charleston’s East Side” as the city’s “underbelly”,there is wonderful optimism here. Populated by the same architecture, harbor breezes and proximity to all the good things in life, there is no reason to doubt that Charleston’s East Side is up and coming. The Ravenel Bridge that spans the Cooper River is a major attraction, with the new pedestrian friendly lane, East side residents enjoy the best view of the City from this 2.7 mile walk or bike ride.Great neighborhood in West Ashley with equidistance between the Cosgrove Bridge to North Charleston and Downtown Charleston. Lenevar and other neighborhoods along the Charlestowne Rd are made up of mostly 50s 60s and 70s brick ranch homes on large lots with nice neighbors. The close proximity to Citadel Mall, and the shops at the intersection of Sam Rittenberg and Hwy 61 such as Barnes and Noble and Total Wine make this neighborhood ultra convenient. The popularity has increased recently as older residents pass down homes to young couples and families seeking the convenience of the location and the neigborhood feel. Named after the famous sector of Paris that it resembles, the french quarter was once one of the seediest red light districts in Charleston. With an elbow against the docks of the historic port wharf of Charleston, the area was inundated with sailors and travelers as recently as the 1960s. Today the area is picture perfect and bustling with tourism. Top notch boutiques, art galleries and restaurants mingle with trinket shops and ice cream stands. Horse drawn carriages jostle and sway to avoid tour busses. Professionals scurry to posh office buildings. After sundown merry making begins in the many upscale and low scale food and beverage establishments. This is an ideal location for a pied a terre in a historic warehouse down a cobblestone lane that catches harbor breezes. Above the crosstown in downtown Charleston is a small enclave of new homes overlooking the marsh and tides of the Ashley river. Located within the Wagener Terrace Neighborhood, this planned urban development dates back to 2006 and features cleverly designed arts and crafts style homes. The neighborhood offers a variety of lot sizes and home styles, some homes featuring elevators and roof top terraces, others more cottage style. The most attracting aspect of the neighborhood is the convenience of the location, and the breathtaking Ashley River views. One must stroll down the oak lined path to the community crabbing dock at sunset to truly appreciate the remarkable scenery. North Central is my current pick for neighborhood with potential to gain in value. Why? Location, Just North of the crosstown on the Peninsula . Why now, well, now seems to be a great time. The market has been letting go of some great North Central deals in dribs and drabs. Watch closely, as King St commercial creeps north up the peninsula and college students dare to find better deals in biking range..Young professionals have discovered the area and the more sprucing up the price goes up. Last few homes to go under contract in North Central gained over asking price! Super convenient to all parts of the peninsula, this neighborhood is framed by the College of Charleston and the Medical University, the King St business district and Cannonborough Elliotborough shopping and dining. Rad-life borough as it is known by its’ many student residents allows easy access to all points of interest, while providing residents the lovely mix of historic homes and shady streets that make Charleston so lovable and livable. Not just the name of a Pat Conroy novel, Broad Street symbolizes the great landmark where everything south takes a price per square foot bump up. This is the most famous and photographed residential neighborhood in Charleston. S.O.B. is synonymous with luxury homes, narrow tree lined streets, and some really fantastic architecture. The neighborhood focal point is white point gardens, with its’ ancient oaks, lovely views of Charleston Harbor, and all the beautiful mansions of South Battery quietly looking on. On the northern end of the Peninsula between Rutledge Avenue and the Ashley River; Wagener Terrace offers truly the best of two worlds. With large lots and tree lined streets, residents enjoy the serenity of the suburbs while benefitting from the convenience of a short car, bike or bus ride to the center of the city. Favorite features include Lowndes Grove Plantation and Hampton Park. Neighborhood’s rave about Moe’s Crosstown Tavern, Biggie’s Bistro Pub, The Ark and the Rifle Club. Another part of town with abundant possibility for value appreciation is Charleston’s under-appreciated West Side. Separated from the southern part of the peninsula by the Crosstown aka. Highway 17, the West side neighborhood has a really nice vibe. 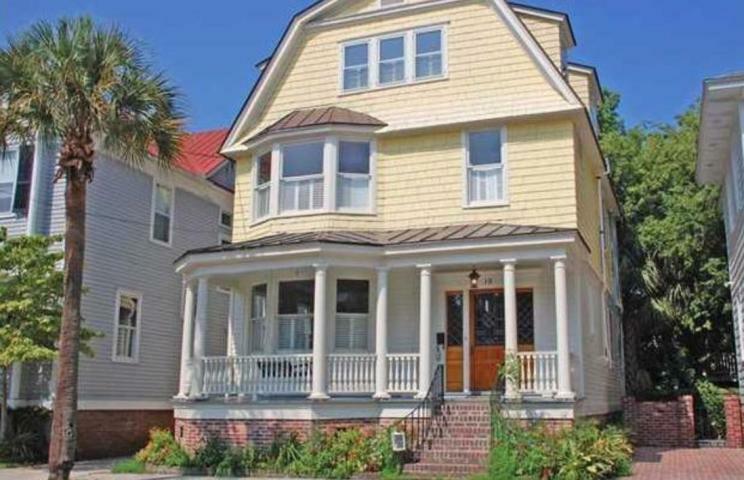 Architectural features include the typical Charleston fare plus a few more turn of the century homes, freedman’s cottages, and bungalows. This truly convenient neighborhood is a very popular location for young couples and singles, first time home owners, eager for affordable square footage, historic details, and close proximity to work and play. As gentrification pushes students north up the peninsula, West Side home values climb. The West Side is closed in by the Crosstown, The Citadel, MUSC, and Upper King St. To the north Hampton Park and North Central. One of Charleston’s most perfectly preserved museum houses, The Aiken Rhett house, is the focal point of the Wraggsborough neighborhood. This magical neighborhood also referred to as Mazyck Wraggsborough and nicknamed the Garden District tells the same story as it’s famous mansion. The neighborhood has massive mansions built historically by Charleston’s wealthiest residents but in recent times is also home to some of Charleston’s poorest residents. Bridging the gap between Charleston’s good times and hard times, a stroll through these elegantly oak lined parks past gorgeous mansions, and over to the eastern boundary housing projects tell a tale of a modern city with a majestic past. Conveniently located to all upper King attractions, the Charleston Museum, the Gaillard Auditorium and the Charleston School of Law makes Wraggsborough top notch downtown neighborhood. In 2010 Mount Pleasant won the All American City award from the National Civic League. Mt. Pleasant competed against 500 other cities across the United States. Finalists documented three community projects that have made an impact on the residents of their communities. Mount Pleasant came home with the prize! The Mt. 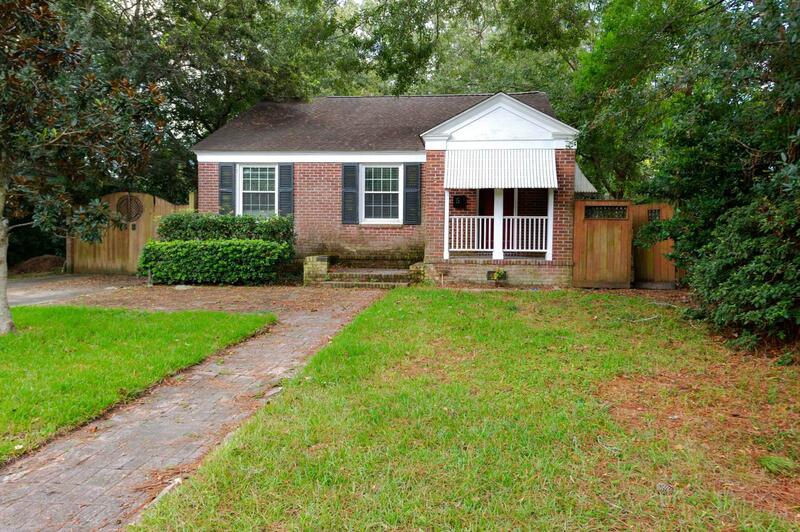 Pleasant neighborhood of Olde Park is only 5 minutes from downtown Charleston. From the beginning Olde Park strived for a “lived-in” look. Developers preserved much of the pine and oak forests that dominated the strip of land between MathisFerry Road and Hobcaw Creek. They planted grown palmettos, dogwoods and shrubs, because immature plants would take years to mature. An extensive landscaping effort included constructing walkways to link four ponds that dot the property. Builders this winter completed Olde Park’s entranceway, lined with colorful flowers and brick-and-stone markers. Another touch will be a gazebo within a block of the creek. North Charleston’s hippest neighborhood, is Park Circle. The neighborhood has risen from the devastation of the depated Navy base to become a mecca for young couples, trendy bistros and bars, and businesses. Architecture is small town americana, arts and crafts homes, and depression era cottages predominate. In the center of the old North Charleston neighborhood you will find a large park with a traffic circle in it. Inside the traffic circle are several ball fields, picnic tables, a gazebo, and a playground. A disc golf course is located around the outside of the traffic circle. This park is adjacent to the Old North Charleston Business District. Also, Quarterman Park is located just two blocks down Buist Street, southeast of Park Circle. This lovely James Island suburb is located off Harborview Rd, just before the intersection with Fort Johnson. 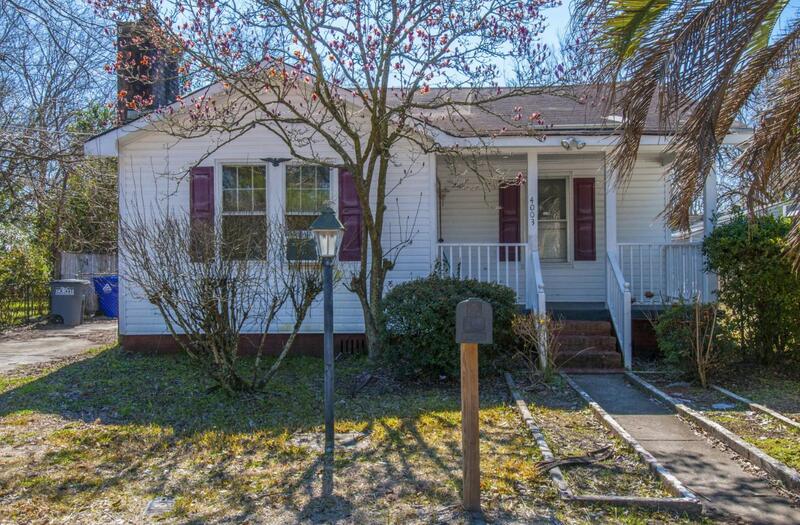 It is convenient to downtown and Folly Beach and has access by foot to the Piggly Wiggly shopping center. The lots are large and the houses are well maintained and modestly proportioned. Mainly brick ranch architecture with a smattering of 70s contemporary. Good schools and nice neighbors make Sties Point a good choice for parents.